The information about this bug in Launchpad is automatically pulled daily from the remote bug. This information was last pulled on 2018-12-17. Add a VU meter and a oscilloscope to the Sound Recorder (gnome-sound-recorder). So that you can see the audio input as a sine wave. I've added a mockup image to explain the concept. Excuse me for the crappy mockup. It should be prettier than that. And it should be one wave not two. It would be a good idea, so it is posible to know when the microphone works, and more. I wonder, if it would be too hard to implement, but it would be really cool, if we could get something like this in the mixer as well. Understanding audio routing is insanely hard with many modern sound cards. 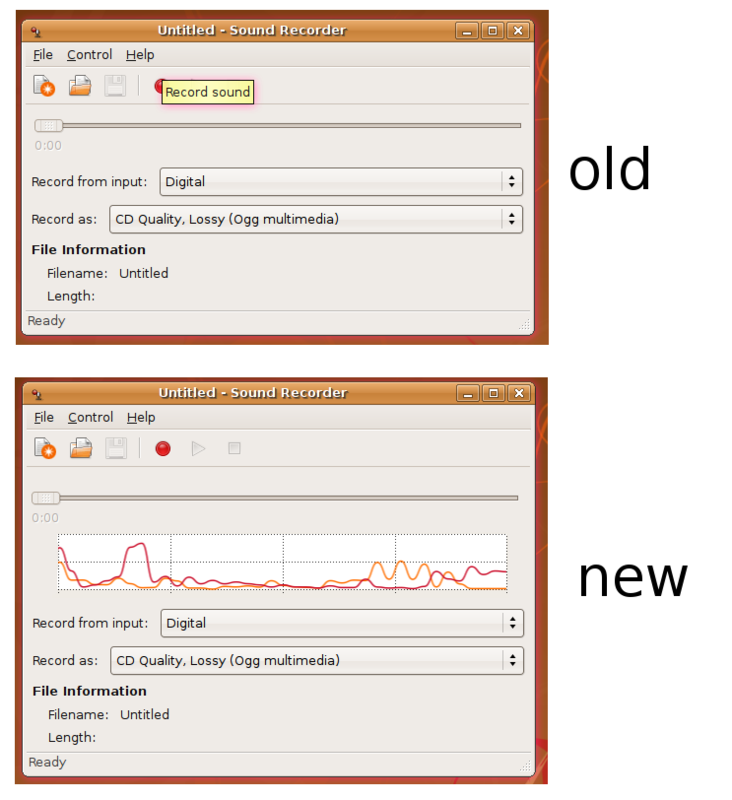 I'm moving this report to gnome-media because this report doesn't belong to sound-record but gnome-sound-record. Two years later, still not implemented.